Posted May 29th, 2013 by holec. Due to the lack of participants this tour has been cancelled. 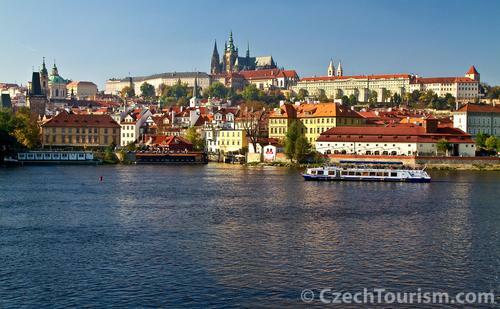 This sightseeing tour to Prague Castle – You will take part of one sightseeing circle in the Prague castle including Old Royal Palace, St. Georges Cathedral, St. Vitus Cathedral and Rozmberg Palace. You will walk through the Prague castle area and you will hear lot of interesting things about the history, architecture and the present life here. This walk takes you to the historical centre of Prague -the Old Town, which was inhabited more than 1,000 years ago. We will begin with the Powder Tower – the work of the Gothic style, which was once part of the Royal court.The Street Celetna takes us to the Old Town Square where you can admire the Old Town Hall with its famous Astronomical clock from the 15th century, the beautiful churches, palaces and houses. 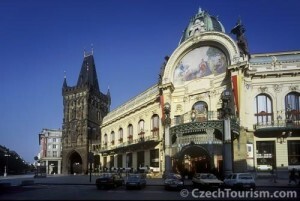 From this beautiful place we will move to the Jewish Quarter, home of the Jewish historic ghetto of Prague. We will continue to the impressive Old Jewish Cemetery, founded in the mid-15th century, and the Old-New Synagogue, the oldest synagogue in Europe, built in Gothic style, which serves as a place of prayer to these days. The Old Town Tour does not include entries to museums and other points of interest; the plan is to visit a broader set of POI’s in the Old Town. 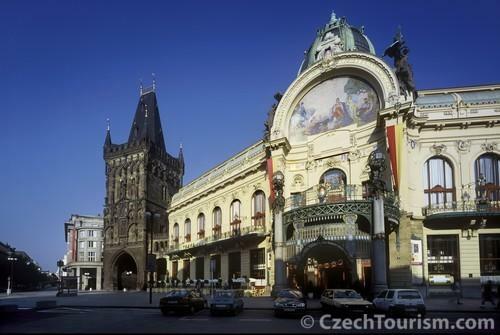 This tour invites you to explore the works of the great Czech artist – Alphonse Mucha (1860-1939). The exhibition is located in the Kounicova palace in the heart of the city. Municipal House – the most prominent Art Nouveau building of Prague located on the site of the old Royal Court, the Royal seat between 1383 and 1485th. The interior of the building is decorated with works by leading Czech artists of the first decades of the 20th century, including Alfons Mucha. There are many small halls, cafes and restaurants where visitors can relax and enjoy those beautiful Art Nouveau decorations. 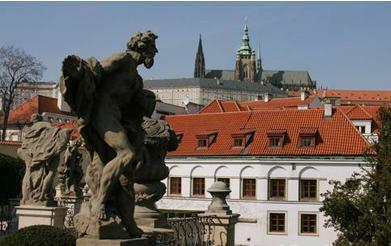 This half-day walk tour takes you to the historic heart of the city – the Old Town. That was settled more than 1,000 years ago. The tour begins in the Old Town Square with the magnificent houses, palaces and churches of various architectural styles and the famous Astronomical clock. The trip continues into the Jewish Quarter. Story of the Prague Jewish community can be followed to the mid-tenth century. 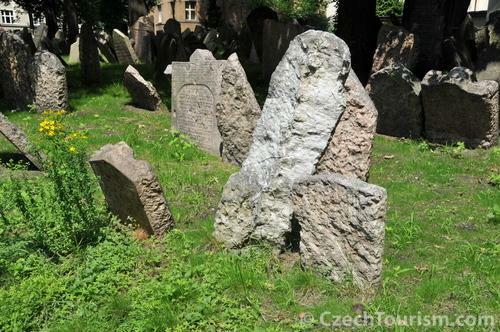 During this walk you will visit the Old Jewish Cemetery, whose foundation dates back to Fifteenth century, the oldest European synagogue – the Old-New Synagogue and several more. At first this half-day tour will take you to the one of the most beautiful places in the Old Town – the Kampa Island. Kampa is very popular as a resting place for tourists and residents of Prague who spend their free time there surrounded by trees and visit many restaurants. They enjoy the special atmosphere of this unique place. For that reason, you can find an addition of the impressive architecture here – pure city houses. Many of them offer their facilities as museums and galleries. We will invite you into one of them. 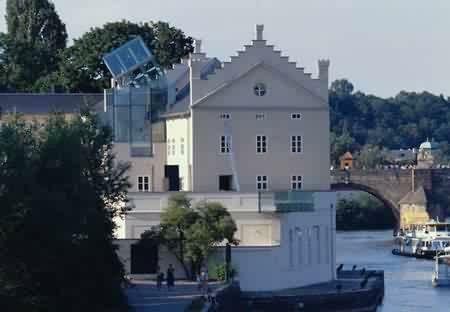 The Gallery of the Private Foundation by Jan and Meda Mladek located in Sova’s Mills renovated in 2002. They offer a collection of Central European art works represented with Czech, Slovak and other European artists – for example Frantisek Kupka with his 215 studies, sketches and paintings – and sculptures from the collection of Otto Gutfreund. The tour continues to the Church of Our Lady Victorious in Prague, Karmelitská Street in the Lesser Town of Prague with its world-famous Infant Jesus of Prague. A minimum number of participants is 12. Congress Secretariat reserves the right to cancel the tour for which a minimum number of participants have not registered. The Congress Secretariat must be notified in writing about any cancellation. The appropriate refunds will be made after the Conference.